These are vintage glass teardrop beads that were made in Germany. 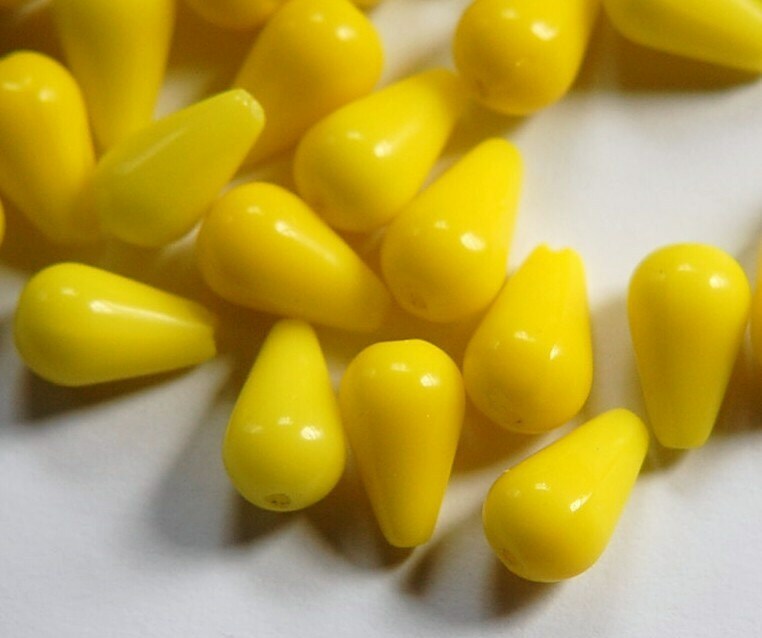 They are yellow. These measure 17mm long X 9mm wide. You will receive 6 pieces. Lovely beads. Such a fresh color. Thank you! nice materials , fast service thanks !